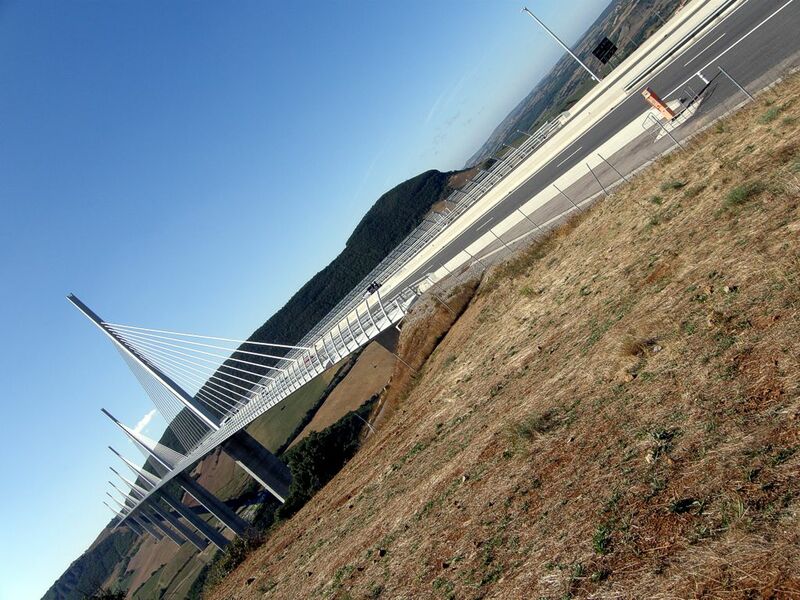 Panoramic view of the Millau Viaduct, France. 29th August 2009, 11.25am. Click the panorama to see a much bigger 2703×550 pixel version. Stitched from 5x 3264×2448 pixel, 72dpi images. The full size image created is 11285×2296 pixels. 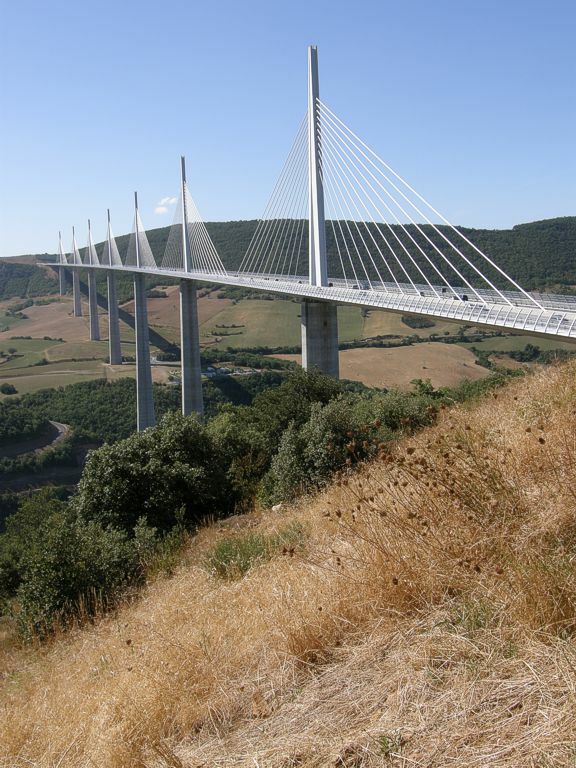 The Millau Viaduct, le Viaduc de Millau, is a bridge on Autoroute A75, European route E11, spanning the valley of the river Tarn, close to the town of Millau in the South of France. 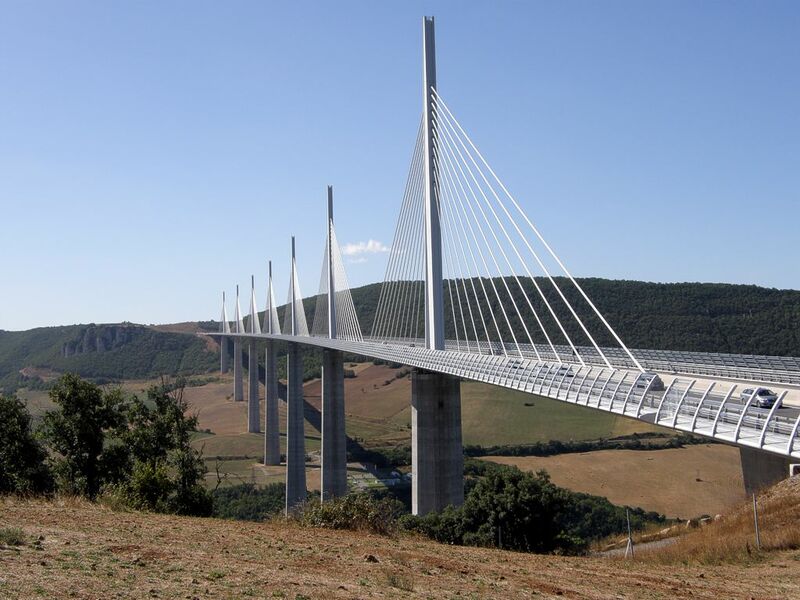 Millau is about 70 miles North of Montpellier. We stopped at the bridge during a long drive back to the UK from our holiday in the South of France.